Union Home Minister Rajnath Singh had earlier said that infiltration of terrorists from across the border had declined by 45 per cent. 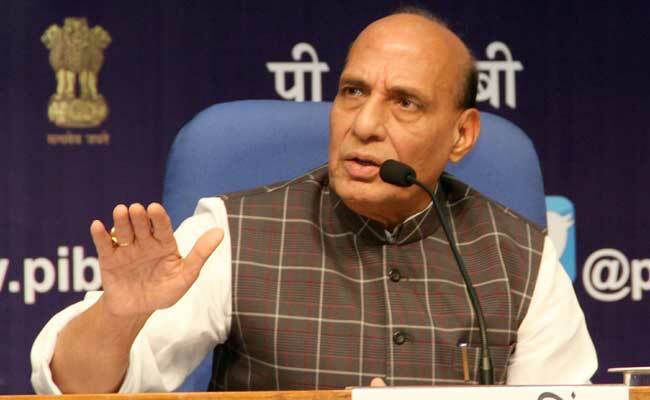 Mumbai: Home Minister Rajnath Singh on Thursday said the 'surgical strikes' conducted by the Army across the Line of Control last year sent a strong message to Pakistan. Speaking in Mumbai on the Narendra Modi government's completion of three years in office, he said, "When we came to power in May 2014, we invited heads of all neighbouring countries (to the swearing-in ceremony). We wanted to give a message of peace. But Pakistan continued to create problems." "Surgical strikes gave the message that we are not only able to kill on this side of the border but now can also cross the border and kill," he said. He also claimed that there had been an incident where a woman and a child were killed in cross-border firing and Pakistani army did not respond to Indian side's appeal through showing of white flag to hold talks. "I was told our Army showed such flags on 16 occasions and not once Pakistani army acknowledged it," he said. "I ordered them not to show white flag next time. Don't fire the first bullet, but when they shoot at us, fire so many bullets that it cannot be counted," the minister said.